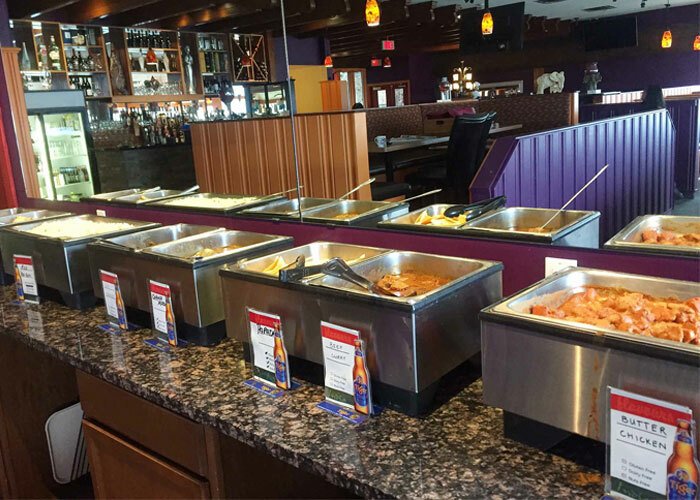 Welcome to Flavours of India restaurant, where serving tasty and healthy food is everything. Our menu has been selected to present dishes that truly reflect the culinary heritage of the vast and beautiful country of India. 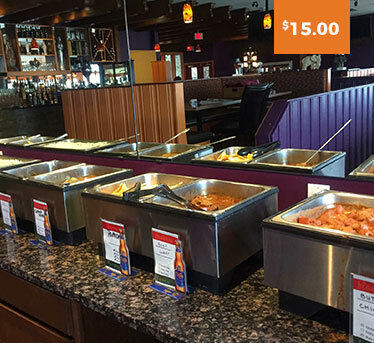 All our food is MSG-free. 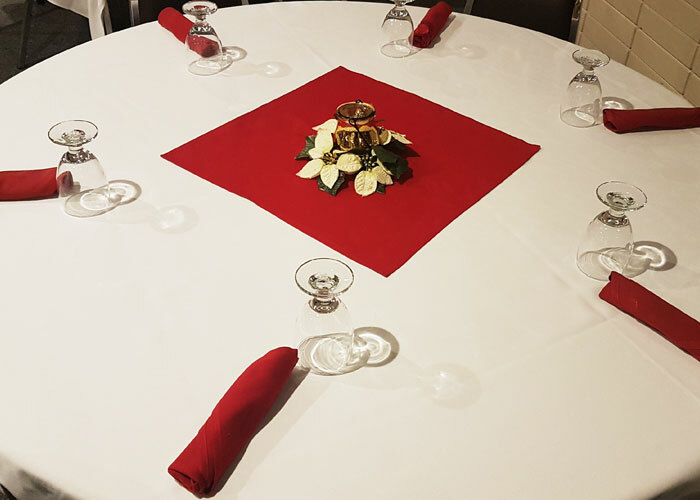 We also offer nut- and gluten-free dishes, along with halal lamb and vegan options. 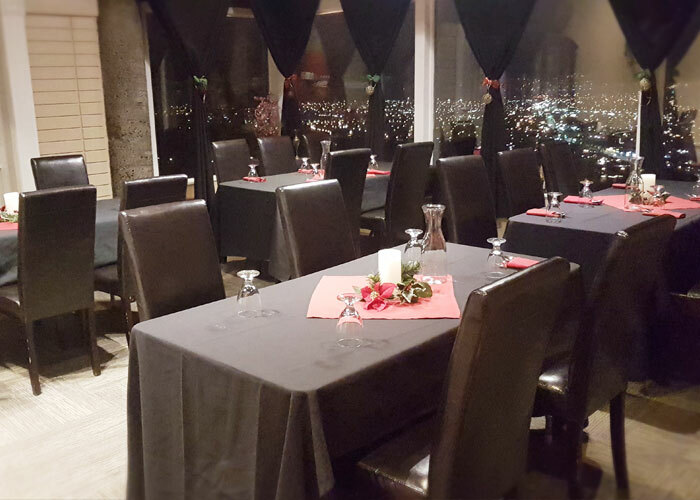 To experience the full pleasure of Indian cuisine, we invite you to visit our restaurant soon to enjoy a taste of some of that same vibrancy and complexity, and allow us to serve you what many have claimed is some of the best Indian cuisine in British Columbia. We are the proud recipient of The Golden Plate Award for Best View, — and for good reason. 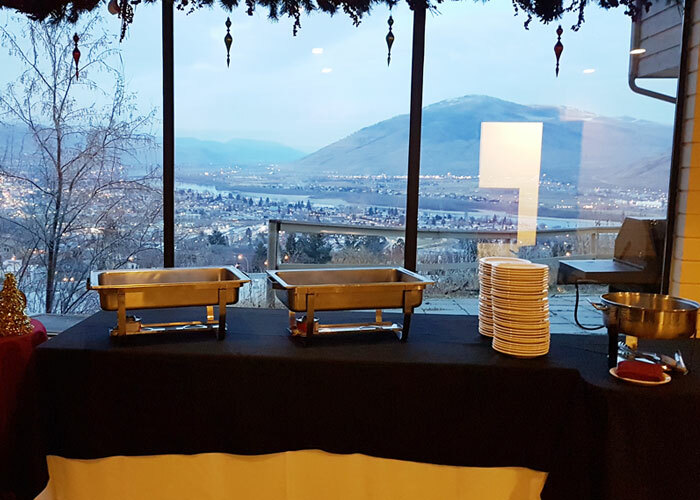 We boast the most amazing view of Kamloops, which can be enjoyed day and night as you sample our exquisite menu options. Over and above the amazing food, dedicated staff and stunning view, our family-run restaurant has been proud to support local charities and events in our effort to give back to the community that supports us. Owner Nandi Spolia is heavily involved in Rotary, which speaks to the ethical operation and success of our famous dining establishment. We take as much pride in our staff & location was we do in our food. 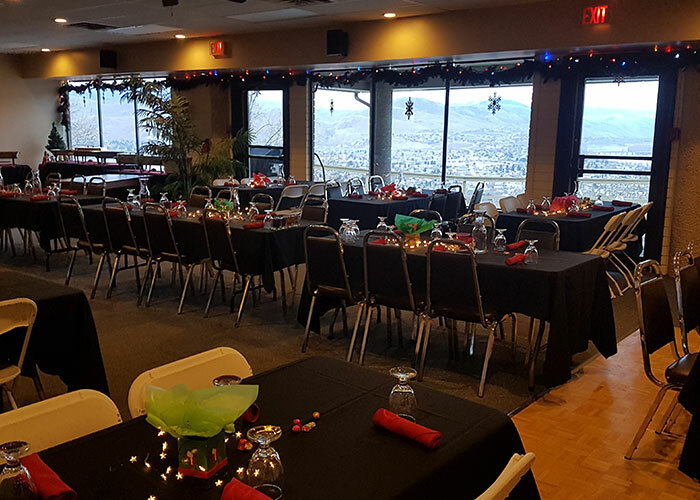 Be sure to remember our 100 person Banquet room for your next event – perfect for weddings, parties, special events and more! 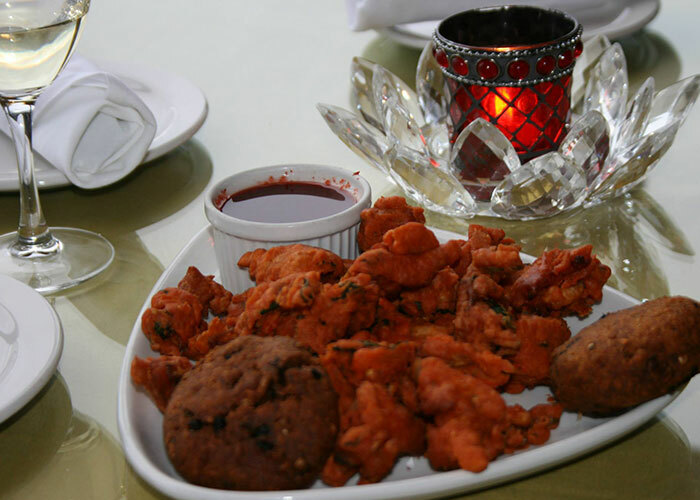 Visit us today and discover for yourself the Flavours of India Restaurant! Check out our famous specials! You have to try it for yourself – you won’t be disappointed. 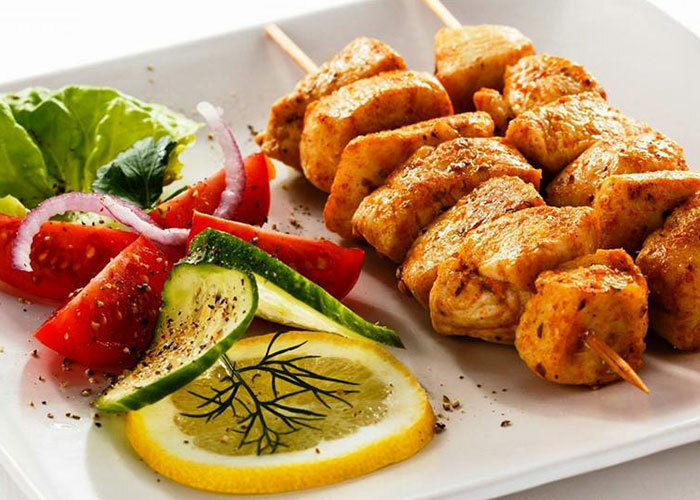 Serving tasty & healthy food is everything for our restaurant! Our menu has been selected to present those dishes which truly reflect the culinary heritage of our beautiful country – India. Spiced lentil and potato patties covered in chickpeas and drizzled with chutneys and onion. Vegetables mixed into a spiced chickpea flour batter and deep-fried. Served with chutney. Panner mixed in spiced batter and deep-fried. Served with cilantro chutney. 1 pound of Tandoori-spiced chicken wings, served with a special sauce. Available during lunch only. Special deep-fried breads served with chana masala, pickles and onions. *Contains Gluten. Atlantic Pollock fried in a spiced chickpea flour batter. Served with cilantro chutney. Jumbo tiger prawns fried in a spiced chickpea flour batter. Served with cilantro chutney. 2 crispy vegetable or beef samosas covered in chickpeas, 3 various chutneys and a dollop of yogurt, then garnished with onions and cilantro. Veggies Samosas $2.25/each. Beef Samosas $2.50/each. Dill pickles fried crispy in a special batter packed with Indian spices and served with a special mint sauce. Marinated chicken breast baked in a clay-oven and served on a sizzling platter. Paneer marinated in a special sauce, baked in a clay-oven and served on a sizzling platter. Flavourful lamb or beef kebabs cooked in our clay-oven and drizzled with a spicy sauce, then served on a sizzling platter. Marinated tiger prawns baked in a clay-oven and served on a sizzling platter. Chicken breast marinated in mint chutney, baked in our clay-oven and served on a sizzling platter. Mixed lentils simmered in tomatoes, onions, ginger, garlic and spices. Potatoes and fresh pureed spinach simmered with onions, ginger, garlic and spices. Cauliflower and potatoes pan-fried in a mixture of dry spices with onion, ginger and garlic. Baked eggplant, mashed and pan-fried with tangy spices, tomatoes, bell peppers and peas. Paneer and freshly pureed spinach simmered with onions, ginger and garlic with tons of spices. Chunks of paneer simmered in a light, spiced curry with green peas. Mixed vegetables cooked in a dry spice with onion and ginger. Yellow moong dal simmered in tomatoes, onions, ginger, garlic and spices. Mixed lentils cooked in a rich and buttery sauce with Indian spices. Chickpeas cooked in a warm curry with onions and tomatoes. Big chunks of paneer cooked in a creamy, red tomato sauce with coconuts and nuts. Paneer cooked in a rich and creamy, red tomato sauce. Paneer cooked in a spicy, flavourful sauce of bell peppers, onions, ginger, garlic and Thai red chillies. Fresh-cut okra dry-cooked with onions, garlic, ginger, bell peppers and warm spices. Pieces of potato simmered in a light, spiced curry with green peas. Succulent vegetable koftas cooked in a creamy Mughlai gravy with coconut and nuts. Chickpeas simmered in onions, ginger, garlic and selective spices served with 2 pieces of fried bread. 2 aloo parathas served with yoghurt and mango pickle. 6 golgappe on a plate with chickpeas and potatoes. Crisp fried dough wafers served with chickpeas, boiled potatoes, yoghurt and tamarind chutney. Indian styled curried egg bhurji (2 pieces) with choice of naan/roti/parantha. Mixed vegetables cooked in spices and wrapped in naan bread. 2 pieces of bread stuffed with onions, ginger, garlic and selective spices served with chickpeas. Chicken cooked in spices with vegetables and wrapped in Naan bread. Beef/lamb cooked in spices with vegetables and wrapped in naan bread. 2 Vegetable Samosas, Dal Turka, Aloo Gobi, Rice, 2 Plain Naan or 2 Roti, plus Gulab Jamun. 2 Vegetable Samosas, Chana Masala, Palak Paneer, 2 Plain Naan or 2 Roti, plus Gulab Jamun. 2 Vegetable Samosas, Butter Chicken, Karahi Paneer, 2 Plain Naan or 2 Roti, plus Gulab Jamun. 2 Vegetable Samosas, Lamb Curry, Chana Masala, Chicken Goa Curry, 2 Plain Naan or 2 Roti, plus Gulab Jamun. Chicken simmered with onions, ginger and garlic and cooked in a light curry sauce. Chicken and freshly-pureed spinach simmered in onions, ginger and garlic with tons of spices. The classic. Chicken cooked in a thick and rich, tomato-based sauce with Indian spices. Chicken cooked in a tangy sauce with potatoes to cut back the heat. Chicken cooked in a spicy, flavourful sauce of bell peppers, onions, ginger, garlic and Thai red chillies. Chicken cooked in a flavourful creamy, coconut curry sauce. Want it dairy-free? Try it with coconut milk! +$1.00. Chicken, bell peppers, onions, ginger and Thai red chillies, simmered in a creamy, yet spicy, tomato-based sauce. Chicken cooked into a creamy, sweet sauce with chunks of mango. Chicken cooked in a creamy Mughlai gravy with coconut and nuts. Want it dairy-free? Try it with coconut milk! +$1.00. Beef sirloin simmered with onions, ginger and garlic, cooked in a light curry sauce. Beef sirloin and freshly-pureed spinach simmered in onions, ginger, garlic and spices. Beef sirloin cooked in a tangy sauce with potatoes to cut back the heat. A special Beef Curry cooked with bell peppers and a touch of tangy spices. A spicy curry of Persian origin. Lamb cooked in a tangy, spicy curry with hints of cardamom. Lamb cooked in a creamy Mughlai gravy with coconut and nuts. Want it dairy-free? Try it with coconut milk! +$1.00. Lamb cooked in a spicy curry sauce with potatoes to cut back the heat. Lamb cooked in a flavourful, creamy, coconut curry sauce. Want it dairy-free? Try it with coconut milk. +$1.00. Lamb cooked in a fiery, flavourful sauce of bell peppers, onions, ginger, garlic and Thai red chillies. Lamb and freshly-pureed spinach simmered with onions, ginger and garlic with tons of spices. Lamb simmered with onions, ginger and garlic in a light curry sauce. Goa Curry and Korma can be prepared with coconut milk instead of cream. 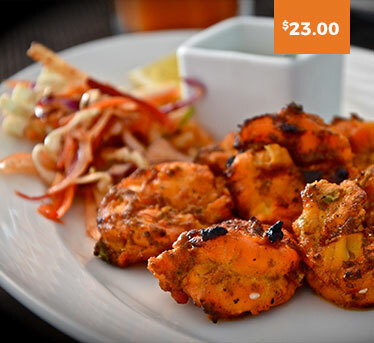 Tiger prawns OR fish, simmered with onions, ginger and garlic, cooked in a light curry sauce. Tiger prawns OR fish, cooked in a fiery and flavourful sauce with bell peppers, onions, ginger, garlic and Thai red chillies. 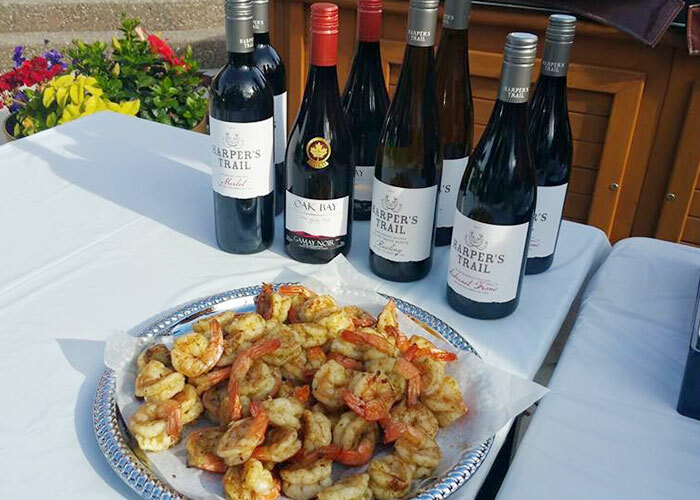 Tiger prawns OR fish, cooked in a spicy, tangy sauce with potatoes to cut back the heat. Tiger prawns OR fish, cooked in a thick and creamy, red tomato sauce. Mixed vegetables cooked with basmati rice, peas, bay leaves, spices and nuts. Beef cooked with basmati rice, peas, bay leaves, spices and nuts. Pawns cooked with basmati rice, peas, bay, leaves, spices and nuts. Chicken cooked with basmati rice, peas, bay leaves, spices and nuts. Lamb cooked with basmati rice, peas, bay leaves, spices and nuts. Basmati rice cooked with peas and cumin seeds. Leavened bread garnished with cilantro and butter. *Contains gluten. Leavened bread garnished with garlic and cilantro. *Contains gluten. Leavened bread basted with butter - inside and out. *Contains gluten. Leavened bread stuffed with panner, onions, ginger and spices. *Contains gluten. Leavened bread stuffed with coconut. *Contains gluten. Whole wheat 'flatbread'. (Vegan without butter - please advise server) *Contains gluten. Whole wheat bread twisted with butter and caraway seeds before being baked. *Contains gluten. Basmati Rice cooked in milk, sugar, coconut and spices. Vodka, Mott's Clamato, a dash or Horseradish and traditional spices. Vodka, Sriracha and a blend of Indian spices, topped with Mott's Clamato and a snack-sized garnish. Fresh muddled mint, shaken with fresh lime juice and white rum. Ask server for flavours or try the original lime. The classic cocktail of Gin, Lemon Juice, a few dashes of Bitters and topped with soda. A sweet drink made from Tequila, Orange Juice & Grenadine. Vodka, Raspberry Peach Liqueur, Cranberry Juice and Lime Juice shaken over ice with a sweet Cherry Syrup. Mango muddled with White Rum and topped with St. Hubertus Estate's Great Canadian Red. A Mango Lassi just for adults! It's blended with a sweet Mango Liqueur and Vodka. A sweet, but fiery cinnamon-mango cocktail. A perfect way to tackle the heat. Gin stirred in Ginger Beer and muddled with Mint. Pretty simple. Bourbon muddled with mint and topped with ice and soda. Fresh mint, blended with ice, lime juice and Tequila. Ask server for flavours or try the original lime. Ginger Beer poured over Old Monk Dark Indian Rum and hit with a dash of bitters. A sweet, fruity cocktail made with Old Monk Dark Indian Rum, Apple Juice, and Cinnamon. The infamous mixture of liquors that hopefully won't make your head spin. Gin or Vodka, shaken with Vermouth and garnished with Stuffed Olives. A sweet, tangy twist on the Classic Martini. Gin shaken with Vermouth, Mango Liqueur and sweet Mango Juice. Local Rotating Taps x2! - Ask your server what we've got.